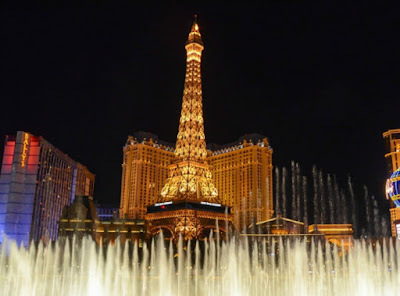 Las Vegas in Nevada is one of the most popular tourist destinations in the entire state. When most people think about Las Vegas they often think of flashy hotels, gambling & casinos, entertaining shows and fine dining. While all of that is certainly true...the city has a lot more to offer. Check out this infographic and all of the information that follows it. It contains some fun and interesting facts about the city and all occurred in 2014. Fascinating stuff! Sin City has a lot to offer everyone, even families. A few years ago we took our entire family out to Sin City for a week long vacation filled with all kinds of fun activities. While a lot of activities are geared towards adults, there are still plenty in the city that are family-friendly. Out of all of the fun & interesting facts listed about Las Vegas...which one was your personal favorite?